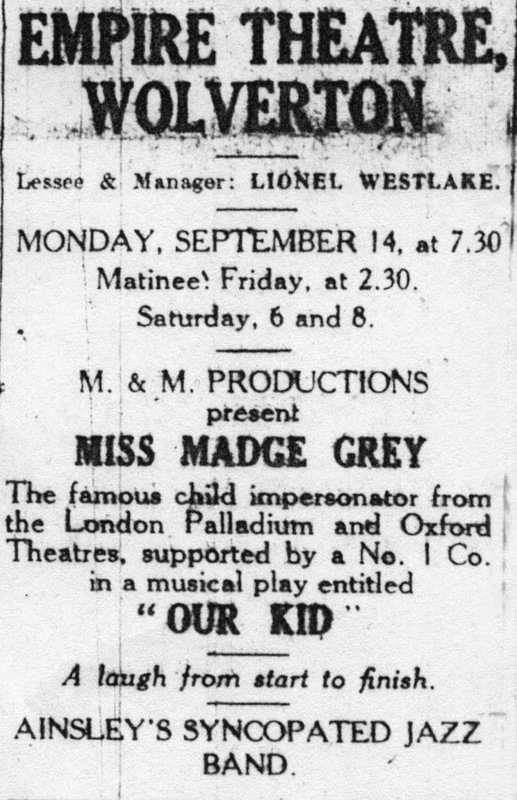 Those of us who grew up in Wolverton in the 1940s and 1950s and attended the Saturday morning matinees for children at 6d (later 9d) a session probably believed the cinema had been there forever. In actuality its history was a short one, but nonetheless quite interesting. The interesting development of this property owes everything to Fred Tilley, a Wolverton born entrepreneur. He was born in 1870 at 75 leadsman Street and his father William was working as a smith on engines in the railway works. When engine building and maintenance was finally moved to Crewe in 1877, it appears that William Tilley moved as well and took his family to Crewe. There Fred served is apprenticeship as a turner and moved back to Wolverton around 1891 once he had completed his apprenticeship. Once back in Wolverton he must have set eyes on Jane Knight, a daughter of William Knight, once a coach painter, but now a businessman. William Knight hit upon the idea of tendering for surplus railway sleepers and selling them for firewood. In this straightforward way he became quite prosperous and could afford a large house at 2 Market Square. Fred Tilley proposed to Jane but she turned him down so he decided to try his luck in the US, following a brother who had emigrated some years before. There he worked as a toolmaker in a Brooklyn shipyard. He probably would have made a success of life there and we would never have heard of him, but it does seem that he was determined to win Jane Knight, and on his return, with a bit of money behind him, he was able to impress her sufficiently to agree to marry him. They were married at St George’s on October 13th 1900. 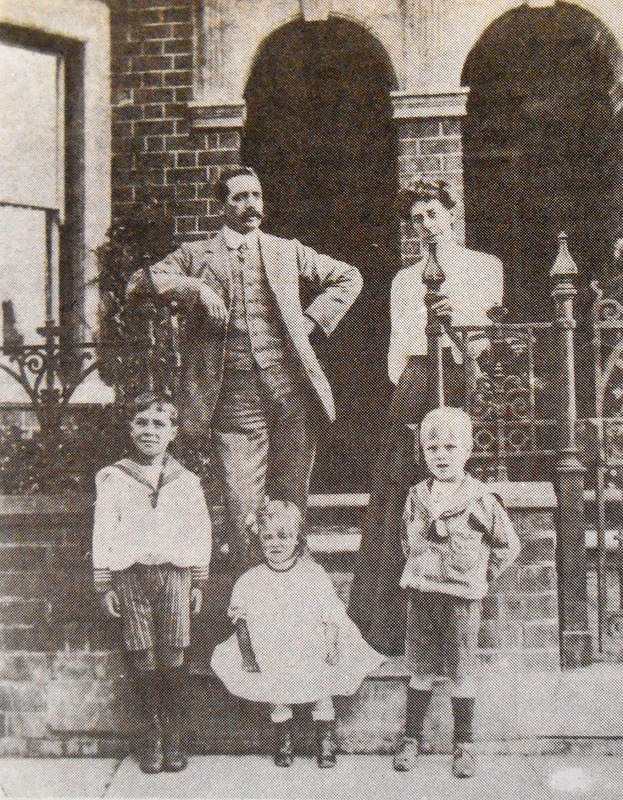 Fred Tilley with his wife and family outside their house at 81 Victoria Street. He was now working as a tool maker in Coventry but the couple were prevailed upon by William Knight to return to Wolverton so that the grandchildren could grow up there. Fred was co-opted into his father-in-law’s business as a firewood dealer. 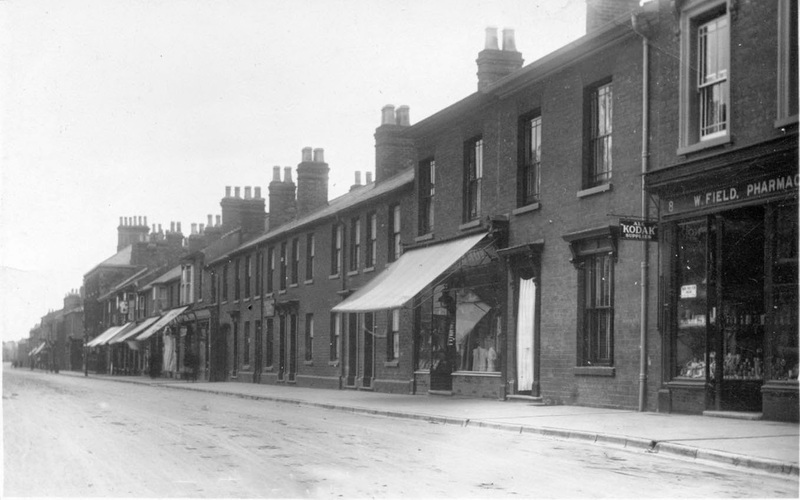 I should also mention that William Knight at the end of his life owned a number of properties in Wolverton, which on his death in 1908 was divided between his two son’s and his daughter, Jane. In 1911, at the age of 40, Fred Tilley started to blossom in his own business ventures. He started up a wooden toy factory, known as The English Novelty Company, at the back of six cottages which he owned on Church Street. 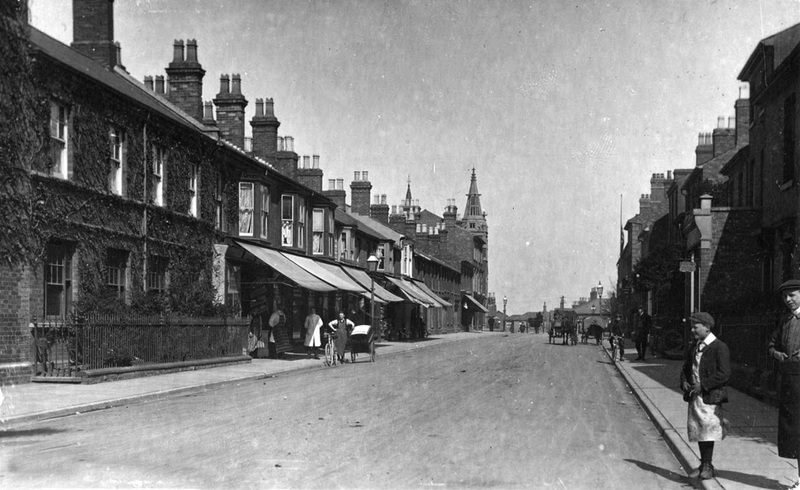 This view of Church street, taken in 1902, shows the terraced houses that were eventually replaced by the Empire and the Post Office. The war proved to be the making of Tilley. The wooden toy market had hitherto been dominated by the Germans, but imports were impossible after 1914, and demand for Tilley’s products increased. The company produced wooden engines, cars, armoured cars, forts, castles, doll’s bedsteads, train sets, bridges, tramcars and wooden play blocks. By 1917 the premises had expanded to 13,000 square feet and employed 100 people, mostly boys and young women. There appears to have been some concern for health and safety and the building was tall and airy and was fitted with an extractor fan to take sawdust out of the building. In March 1918 the Board of Trade sponsored a British Industries Fair where Tilley’s toys were exhibited to much acclaim. This was the high point for the industry, for no sooner was peace declared the Germans resumed manufacture and their high quality and lower price (due to Germany’s ready access to raw materials) began to eat into the profitability of the English Novelty Company. Never short of ideas, Fred Tilley converted the paint shop of his factory into a concert hall. 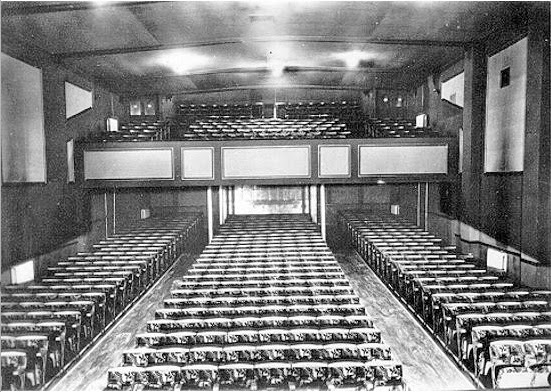 It had a corrugated iron roof which must have been noisy during rainy days, but nonetheless the enterprise went forward, Wooden tip up seats were laid out in rows before the stage and on December 4th 1922 the New Empire Palace of Varieties opened with entertainment from the Star London Company. 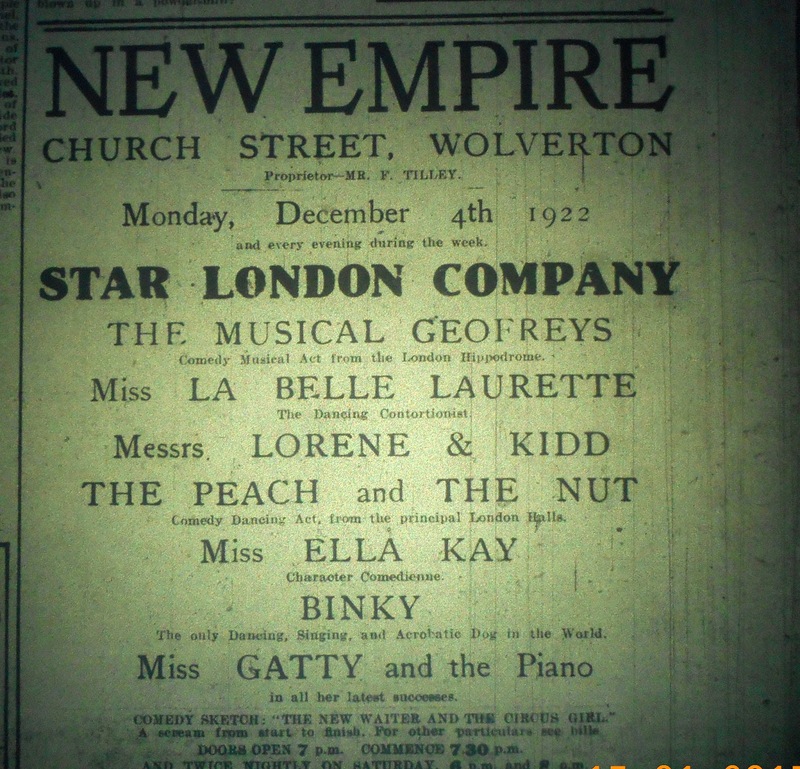 Judging from the names of the entertainers on this bill, these were not household names, but no doubt Wolverton people were grateful that these entertainments were on offer in the town. The premises were also used as a dance hall but the two functions were not really compatible and in May 1923, after a production of Ship Ahoy, the theatre was closed for renovations. The stage was enlarged and the seating capacity increased from 500 to 800. Fred Tilley himself was content to take a back seat in this enterprise and leased the premises to people in the entertainment industry. In 1926 films were introduced, silent films of course, one and two reelers with a pianist thundering away his accompaniment. 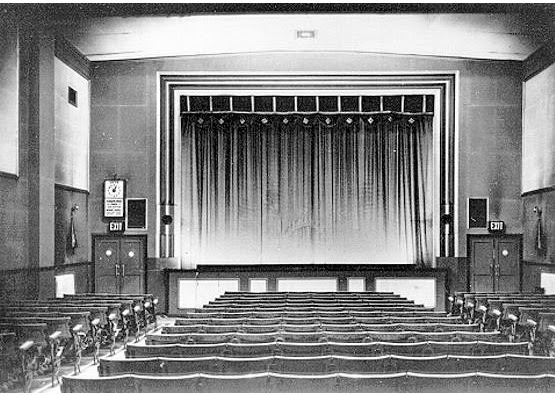 In 1932 the County Council gave permission for the cinema to show “talkies” and on Monday November 21st 1932, the first sound and motion pictures were shown. The cinema was redecorated in red and gold and upholstered seats were provided in the balcony. There were still concerts. The Wolverton Light Orchestra, for example, gave a concert every Sunday evening, but the live acts were now local amateurs, rather than travelling professionals. 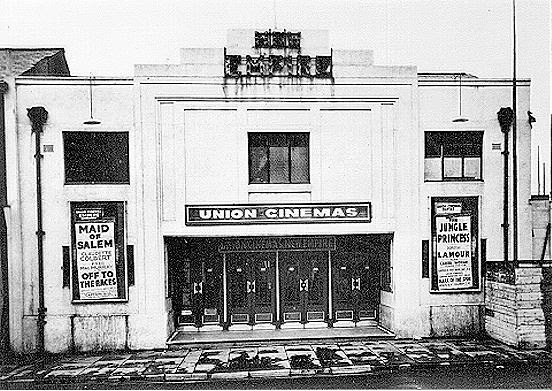 The cinema arm, the mainstay of the business, was now in the hands of Union Cinemas. In 1936 Fred Tilley sold the lots next door to the Empire to the Post Office, who then built a new General Post Office. 30 years later, with the cinema industry in general decline, the Post Office purchased the property after the expiry of the lease in 1969. The last show at the cinema was a double bill of british films, “Carry on Cleo” and Carry on Screaming”. The date was May 17th 1969. After that the cinema closed its doors. 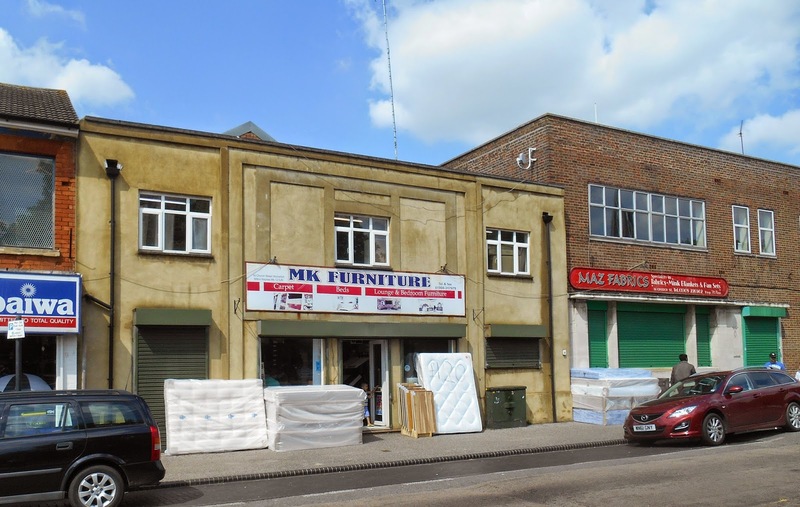 The Post Office has also moved on and the former Empire is now a furniture store. Of the two cinemas in Wolverton I tended to favour the Empire. This probably dates from the Saturday morning experience in the early 50s where we could go to watch a collection of cartoons and short features for 6d. The manager of the Empire at this time was quite enterprising and offered prizes for various talents during the interval. He thus guaranteed that the auditorium was packed. Where there are now two windows and a double door was an open foyer. The ticket kiosk was on the right . 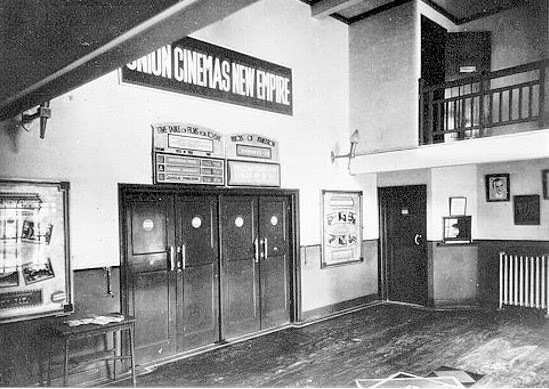 Inset were two double doors leading into the picture house. The walls held posters featuring the latest films. In the 50s cinemas still offered a main feature film and a “B” film as part of the same programme. In part this practice dated back to the times when films were much shorter but it was also a means of protecting the declining British film industry. Even though Hollywood films were the main attraction, a British film could still get into the cinema as a “B” feature. This was a restrictive trade practice but it did ensure that quite a lot of good British films, albeit low budget, found and audience. The film programme probably changed twice weekly on Wednesday and Saturday. I would imagine that in those pre-television days many people went to the “pictures” twice a week. Showings were also continuous, so if you missed the first ten minutes of the film you could sit through the entire programme and pick up the first ten minutes at the beginning of the next showing. In my child’s imagination The Empire was an important and imposing building. It looks rather unimpressive today.